Purchase online in India IRFP350PBF N-channel Power MOSFET at low cost from DNA Technology, Nashik. 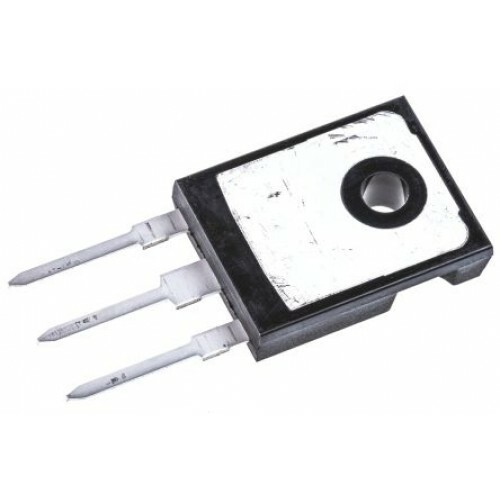 IRFP350 is a third generation Power MOSFETs from Vishay provide the designer with the best combination of fast switching, ruggedized device design, low on-resistance and cost-effectiveness. The IRFP350PBF is TO-247AC package preferred for commercial-industrial applications where higher power levels preclude the use of TO-220AB devices. The TO-247AC is similar but superior to the earlier TO-218 package because of its isolated mounting hole. It also provides greater creepage distance between pins to meet the requirements of most safety specifications.